Will the Red Bull organization's total switch to Honda power be a bust or a return to glory? 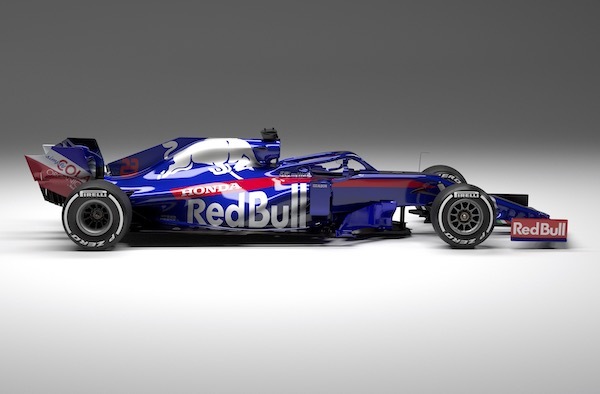 Scuderia Toro Rosso-Honda, junior team to Red Bull Racing-Honda, has revealed its contender for the 2019 Formula 1 season, the STR14. 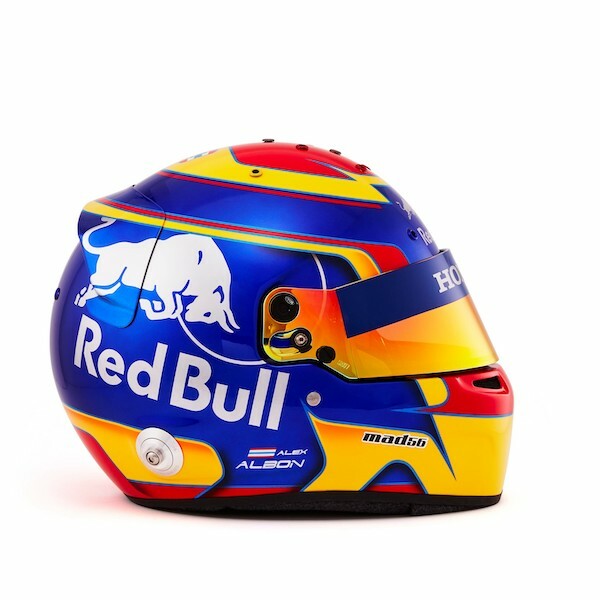 Like the rest of the field, the STR14 is made almost exclusively of carbon fiber. Power will come from Honda's 2019-spec F1 engine, the RA619H, which is a turbocharged, 1.6-liter V-6 with hybrid assist, capable of producing the better part of 1,000 horsepower. The STR14 will share this engine with its parent team's RB15, which is scheduled to be unveiled Wednesday. 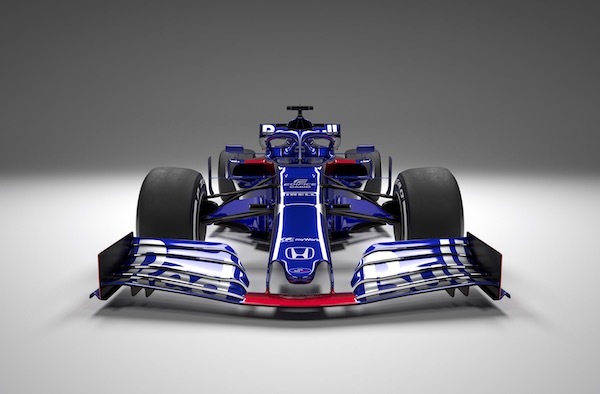 Design of the STR14 was led by James Key, who plans to leave the team for McLaren when his tenure with STR-Honda expires. Key, renowned for out-of-the-box solutions whose ingenuity rivals that of frontrunner Mercedes, is not anticipated to join McLaren until 2020 at the soonest and is expected to continue development of the STR14 throughout the 2019 season. STR-Honda managed a ninth-place finish of ten teams in the 2018 Formula 1 World Constructors' Championship (WCC), its STR13 in the hands of Pierre Gasly achieving a best result of fourth at the Bahrain Grand Prix. 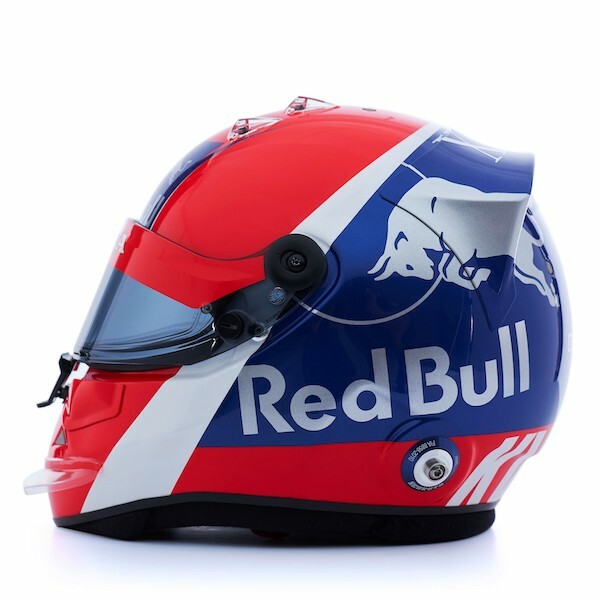 Gasly was promoted to RBR-Honda after Daniel Ricciardo left for Renault, and the Frenchman's teammate Brendon Hartley was ejected from the team. Open seats have been occupied by returning Russian driver Daniil Kvyat and Thailand's Alexander Albon. Kvyat once drove for Red Bull Racing itself, where he managed two podiums and a fastest lap during Red Bull's least competitive years in the last decade. The Russian was demoted in 2016 to make room for young hotshot Max Verstappen, who immediately proved his value by winning his inaugural race with RBR, the 2016 Spanish Grand Prix. This series of events demoralized Kvyat, who was eventually dropped from STR in late 2017 as a result of his slumping performance. He served as a development driver for Scuderia Ferrari in 2018 but signed back with the RBR organization late last year. Albon is one of three FIA Formula 2 drivers to be promoted for the 2019 F1 season, alongside McLaren-bound Lando Norris, and George Russell, who will drive for Williams (which also revealed its 2019 car, the FW42, on Monday). Black and gold hearkens back to the John Player-sponsored Lotuses of yore, and Lord does it look good. The Senna is wicked fast and a handful to drive, even for a second-generation Formula One world champion. The company's MCLExtreme vision also includes an 'AI co-pilot' that works in tandem with the driver to control the sci-fi-derived racers. Mallya fled his come country in 2016 after defaulting on loans exceeding $1 billion, but he'll soon have to face his creditors. The US, Brazil, and China ranked as the most popular TV markets for F1 despite lacking a native racer on the grid.